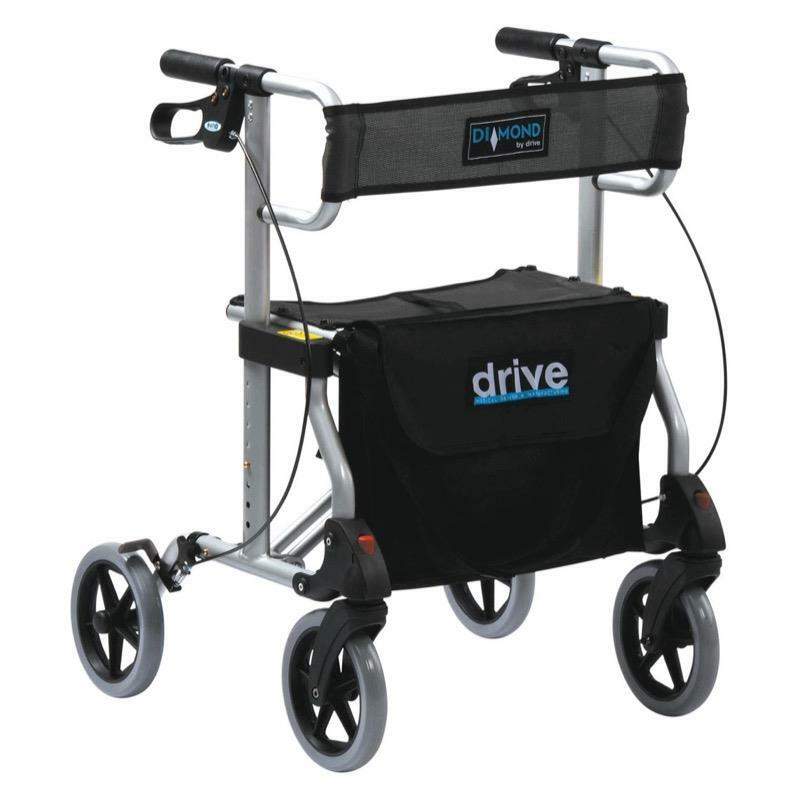 The Drive Diamond aluminium rollator has a stylish modern design with a folding cross brace for additional stability. 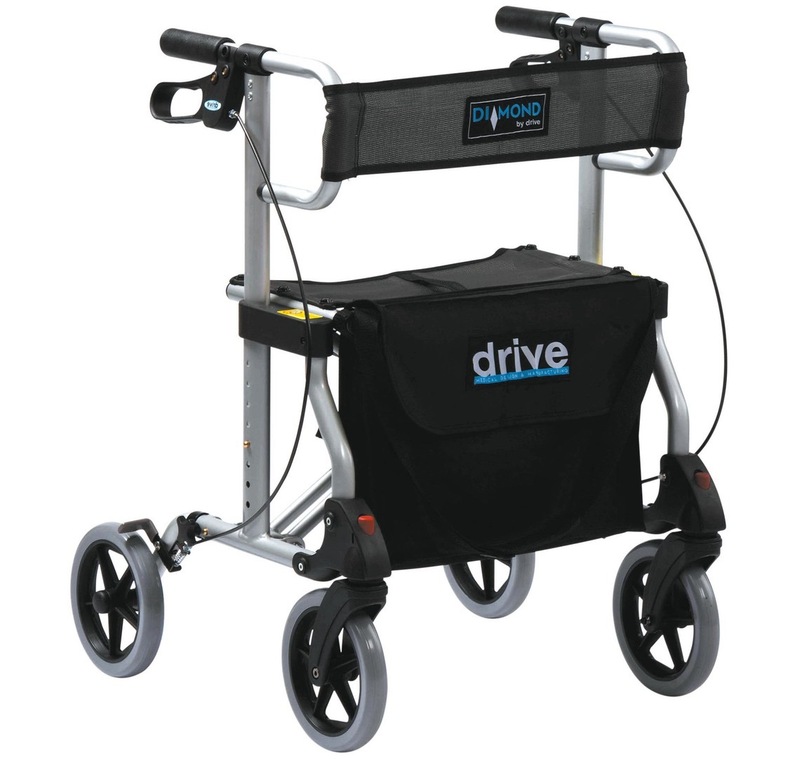 Key features of the Diamond Rollator are removable 8" easy rolling wheels, adjustable height handles with cable loop brakes, a useful carry pouch and a comfortable mesh seat and backrest. This rollator mobility aid folds simply for transportation.